To grant Armenian schoolchildren one more opportunity for the best and competitive education, the Ayb Educational Foundation embarked on a new initiative in July, 2017 — the Khan Academy Armenia, a project aimed at translating and creating electronic resources. The project is carried out by the Ayb Educational Foundation in collaboration with the Intellectual Renaissance Foundation. Khan Academy is a nonprofit organization, which was established in 2006 with the motto: “A free, world-class education for anyone, anywhere.” And that’s what the organization’s mission stems from — it has undertaken to improve the quality of education and makes it accessible everywhere and for everyone. Khan Academy produces short videos as well as practice exercises and materials, which are available to coaches and schoolchildren. Today schoolchildren and students of top universities and schools take advantage of what Khan Academy has to offer. And today over 36 countries have joined this project and are actively engaged in the translation of Khan Academy’s learning materials. • Stanford School of Medicine. • create a series of Armenian grammar videos (it is expected to create a series of around 250 videos for Armenian language that will also include explanatory materials and exercises; the development of videos for Armenian language is planned to start in January, 2018). These videos will be used by schools as supplementary learning materials. Within two years, Khan Academy Armenia is planning to collaborate with a number of Armenia-based scientific and cultural organizations as well as increase the number of volunteers supporting the project both in schools and in universities. This project will enable to develop completely new education resources that will be accessible everywhere and will comply with the education program. Thanks to this project, Armenia can play an active role in the development of online learning materials. a series of 400 exercises. 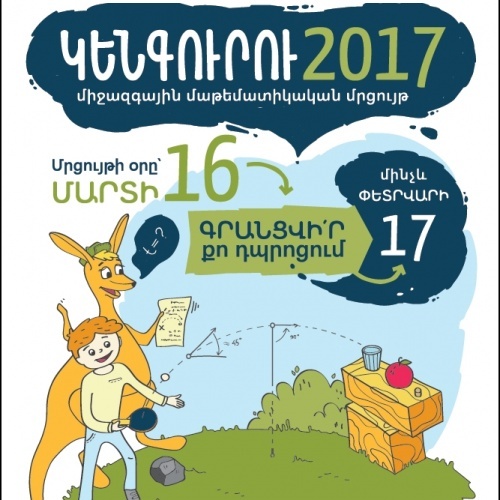 These videos are available on Khan Academy Armenia’s official YouTube page, while the website that will contain education materials and exercises will be available here. The website will enable to create a virtual classroom, where teachers and coaches will assign tasks to children and track their progress in a particular subject. which are being used by 40 million students and 2 million educators all over the world. the online resources of Khan Academy are being translated including Armenian.